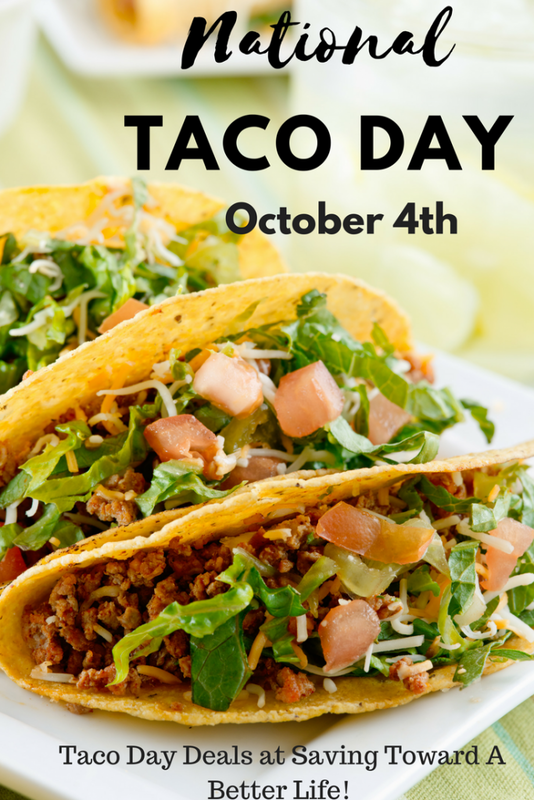 Wednesday, October 4th, 2018, is National TACO Day! Chuy’s: Crispy beef tacos are $1 with any order Thursday at participating locations. Patron floaters and margaritas are $1 and Modelo beers are $1 off. Del Taco: BOGO Shredded Beef tacos on October 4th. 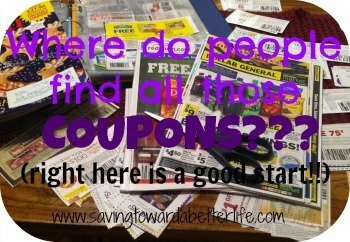 Get your coupon at their website. El Pollo Loco: Get a FREE Chicken Taco al Carbon (click here for coupon) AND enter to win tacos for a year! On The Border – Endless tacos for $8.99 all day! Dine in only, no coupon necessary. Rubio’s – Get a FREE Fish Taco with any beverage purchase with coupon. Taco Bell – At participating locations on Wednesday, the chain has a special “National Taco Day gift set.” For $5, get four classic Taco Bell tacos — Nacho Cheese, Cool Ranch, Fiery Doritos Locos Tacos and the Crunchy Taco — “gift wrapped” in a limited edition wrapper and specially boxed. You can always stay home and make your own tacos! Sounds yummy to me! There are SAVINGS for taco ingredients so you can stay in on National Taco Day! Check out Fetch Rewards Taco ingredient offers and bonuses! Check out my Taco Bake recipe for a different twist on regular tacos! Or try Cheesy Taco Casserole!